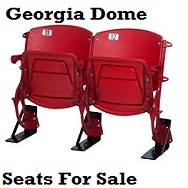 Stadium Seat Depot has put together a couple great package deals for the Astrodome Seats! 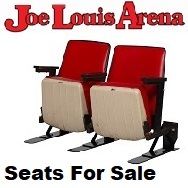 Your Riser Mount Seats came from the Astrodome without L-Brackets (floor stands), which allow the seats to free stand upright for display. 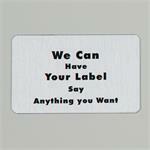 Our Competitors advertise L-Brackets (floor stands) by themselves for a cheaper price. Although the cheaper price sounds good, L-Brackets alone are not stable or safe for sitting, as they are designed to be bolted down to the floor for stability. When Seat Feet or Rockin' Seat Feet are added to the L-Brackets, the seats become portable, stable, and safe for home use. 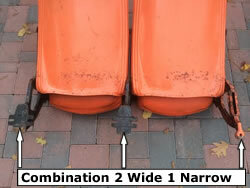 Our package deals includes 3 L-Brackets and 3 of our patented Original Seat Feet or 3 of our Patented Rockin' Seat Feet. 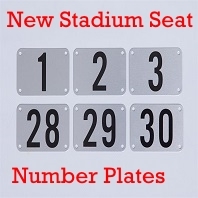 As an added bonus, we will throw-in a Free Stadium ID Plate of your choice either the Standard or Baseball ID Plate. 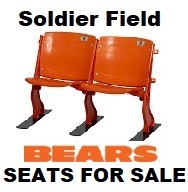 You get all this for only $149.99 for the Original Seat Feet package or $174.99 for the Rockin' Seat Feet package plus Shipping. We guarantee that our Seat Feet / L-Bracket combo's are the most stable, portable, and by far the safest product on the market hands down. 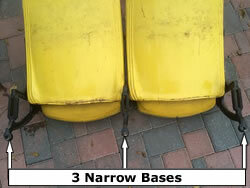 please identify which Houston Astrodome seat base type that you currently have. 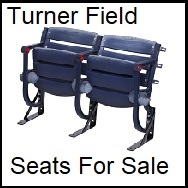 Set of 3 L-Brackets ( Floor Stands ) for Astrodome 2" and 4.5"
Set of 3 Rockin' Seat Feet™ / (1)2",(2)4.5" L- Bracket Mounting Combos for seats from the former home of the Houston Astros. Hardware included. 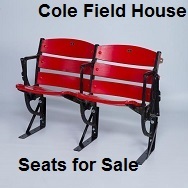 Set of 3 Rockin' Seat Feet™ / 2" L- Bracket Mounting Combos for seats from the former home of the Houston Astros. Hardware included. 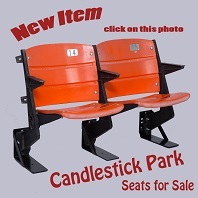 Set of 3 Rockin' Seat Feet™ / 4.5" L- Bracket Mounting Combos for seats from the former home of the Houston Astros. Hardware included. 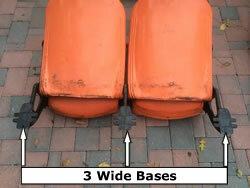 Set of 3 Astrodome Seat Feet™. If you purchased L-Brackets from Archer Seating our Seat Feet™ will make them portable, Stable and Safe for home use. Hardware included.